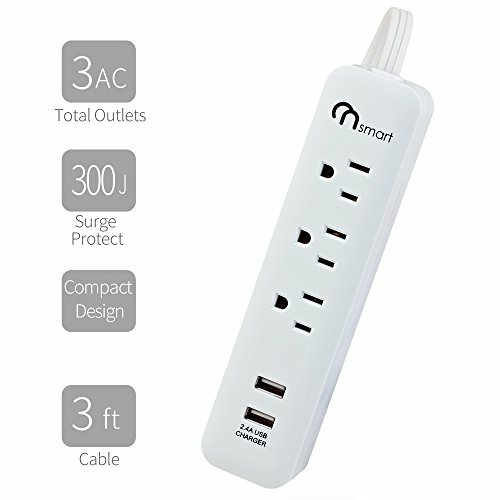 • The ultimate surge protector protect your sensitive home-office equipment against voltage fluctuations, surges, and spikes. • Keep your high-end equipment protected, while ensuring the clearest picture and sound possible. 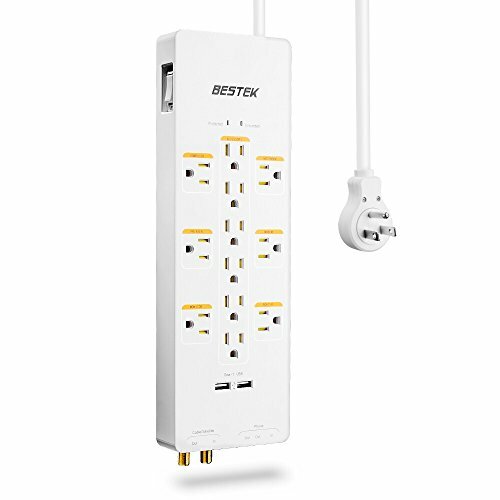 • The BESTEK surge protector allows you to power up to 12 electrical devices using only one AC outlet. 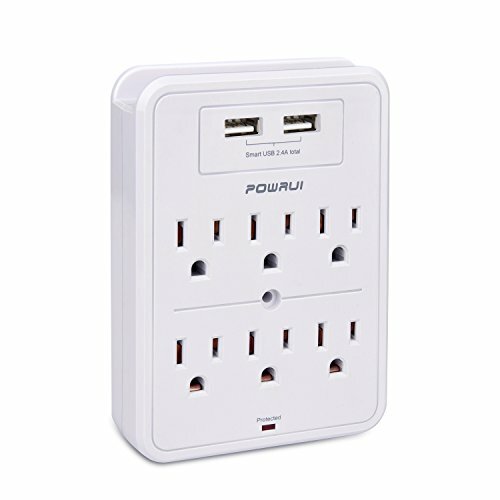 • 6 wide-spaced outlets fit bulky power chargers without blocking other outlets. • Featuring coaxial cable in and out as well as 1 telephone input and 2 telephone output slots. • Cable / Satellite Protection safeguards cable box/satellite connections. • Telephone/fax protection ensures open and continuous phone-line connections. • Automatically detect your device to deliver the optimal charging speed up to 2.4 amp total. • The flat, 360 degree rotating plug & wall mounting screws reduce clutter. 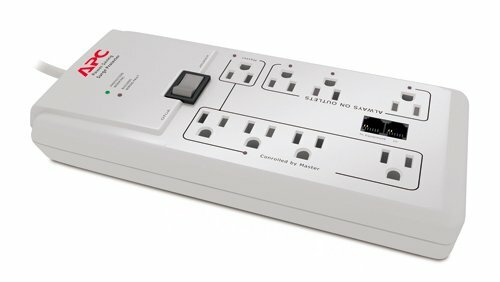 • Power switch with 15 amp circuit breaker prevents accidental shutdowns while making reset easy. • Surge Protection Indicator lets you know your equipment is protected, while a Not-Grounded Indicator warns you when your outlet is not properly grounded. • Fire-retardant material housing protects your circuits from fire, impact, and rust and prevents dents and scratches.